This is a selection of the best free design resources and tools for graphic designers from across the web. These tools and resources are particularly aimed at design students and they will definitely come in useful in creating all sorts of design projects; these are webpages that should certainly be bookmarked! 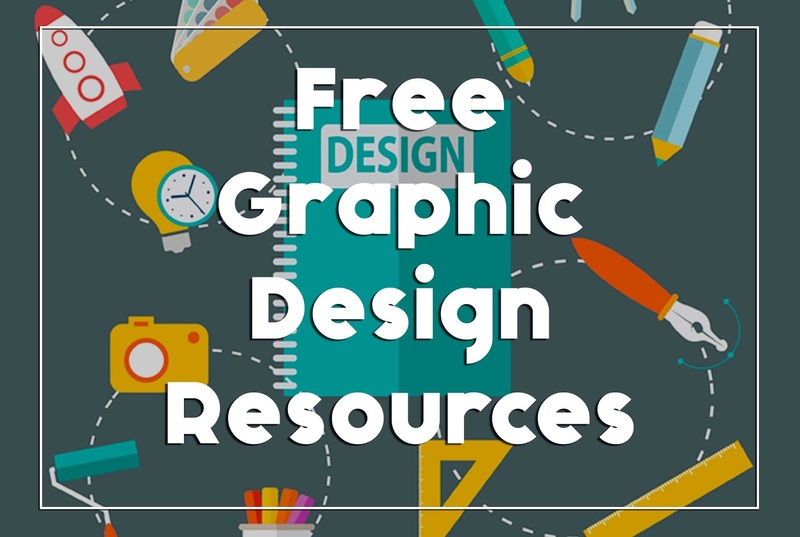 We really hope you find this list useful and if you know of any other free design tools or resources you think we should add then feel free to contact us and let us know. Create color schemes with the color wheel or browse thousands of color combinations from the color community using this interactive web tool. Everthing you need to prepare a design color scheme is at your fingertips with this great tool. Whether you just want to make your own avatar icon, your colleagues’ or friends’, or if you’re up to a full business or personal project, you can use this incredibly complete pack to build up a huge amount of combinations in just a few simple steps. This is the easiest way to create a detailed avatar! The Freebie Gallery on the Bittbox website includes a vast selection of brushes and textures available for free download and use in Photoshop. Expect scratched backgrounds, paint blotches, wooden textures and loads more free design resources. Canva’s awesome suite of features make it easy to turn ideas into stunning designs. Simply search for the best graphics, photos, and fonts, then use Canva’s drag and drop tool to create a design. Whether your next design project is a creative collage, a social media graphic or even a web mock up. Canva’s features make it possible for anybody to create amazing designs for free. Creative Bloq is a design blog but we want to focus on just one post - a mammoth list bringing together over 2,500 brilliant design freebies, covering everything from typography to 3D design. The list is updated regularly with new design resources added all the time. Go to their "Get Free Goods" section for a line-up of the best free goodies on Creative Market from the past week. To mix things up the website offers a variety of graphics, including vectors, Photoshop packs, fonts and textures. DaFont is a huge online library of great fonts in a wide variety of styles.The fonts presented on this website are their authors' property, and are either freeware, shareware, demo versions or public domain. There is also a great preview function to help you select the best font for your design. Design Instruct offers lots of free resources, as well as a ton of useful articles. Simply head to their Freebies section to download anything from icons, vectors and fonts, to Photoshop actions, stock images and textures. As well as being a great source for design inspiration, Dribbble also high quality freebies including icons, fonts, vector illustrations, patterns and textures. They are often featured on numerous websites, but you can be the first to view the very latest additions by searching the ‘freebies’ tag on the Dribbble website. FlatIcon is the largest database of free icons available in PNG, SVG, EPS, PSD and BASE 64 formats. Flaticon offers users, high quality graphic designs: totally editable vectors carefully selected by their design team in order to provide users with great content that can be used in both personal and commercial projects - all for free! FDR stands for free design resources. As the name suggests this website is a library of design freebies. Free Design Resources is a site dedicated to help you find the high quality design resources for free. Crafted with love from amazing artists and professional designers around the world. This is one of the newest and the best websites on our list. As the name suggests this website is a library of totally free (no strings attached) designs tuff. Free Design Stuff is a site dedicated to helping you find the best quality design resources for free. Every area of design is covered and each freebie is reviewed and rated to make choosing the right design freebie for you nice and easy. Freepik helps you to find free vector art, illustrations, icons, PSD and photos for using in websites, banners, presentations, magazines or any design project you are working on. They are currently creating hundreds of free vectors every day so you'll be sure to find what you need for your design project. Well we couldn't leave ourselves off the list now could we! After all we strive to provide the best articles, tutorials, templates and resources across a range of design topics. So why not subscribe to our newsletter to keep up to date with all our latest posts. A library of free images and videos you can use anywhere. All images and videos on Pixabay are released free of copyrights under Creative Commons CC0. You may download, modify, distribute, and use them royalty free for anything you like, even in commercial applications. Attribution is not required so their images are perfect for any design project. Full of free graphics and web resources, Pixeden has a little bit of everything. From graphic design and web design templates, to a whole host of icons and vectors, there’s a lot to choose from. You can sign up for a free account but if you want something a bit extra, they offer relatively cheap premium plans too. Browse through Pixel Buddha’s endless catalogue of design freebies, including icons, templates, vectors and more. The website has a few high quality fonts as well, which are good for adding a personal touch to a project. From time to time the website hosts limited special offers as well, letting you snap up premium design resources for nothing, nada, zilch...free! Just another good reason to bookmark this website. Download awesome, free graphic design resources today. The Hungry JPEG was started in November 2014 as a website to help designers, crafters, newbies, seasoned graphic design ninjas and well, anybody with an interest in the design world. The aim was to provide high quality design resources and we think they've done just that. Subscribe to the Unsplash mailing list to get 10 free high-resolution photos every 10 days. Expect seascapes and landscapes, architecture, travels on public transport, individual journeys, and much more. The website is great if you’re looking for something nicer than a standard stock image, and all images are free to use in your designs however you like. Visme is both an online Presentation and Infographic tool which markets itself as the resource to help you become a better Presenter, Communicator and Story Teller. Similar to Canva you can search for graphics, photos and fonts then drag and drop them to create your design.